Hmmmm...we could take a spin on the Barnstormer. 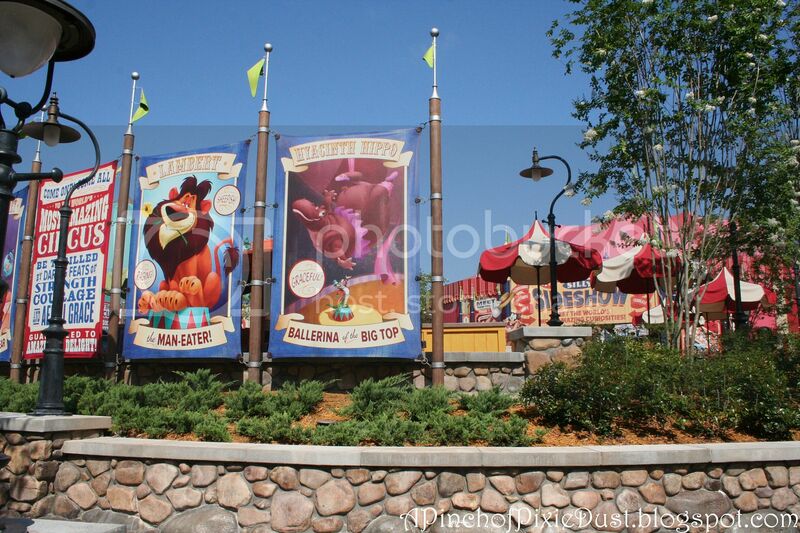 We could check out the cupcakes at Big Top Treats. We could admire all the details around the train station. But no...today we're looking for some extra pixie dust. 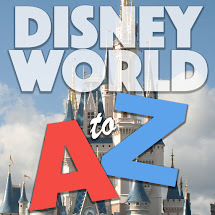 Today we're looking for some CHARACTER pixie dust! 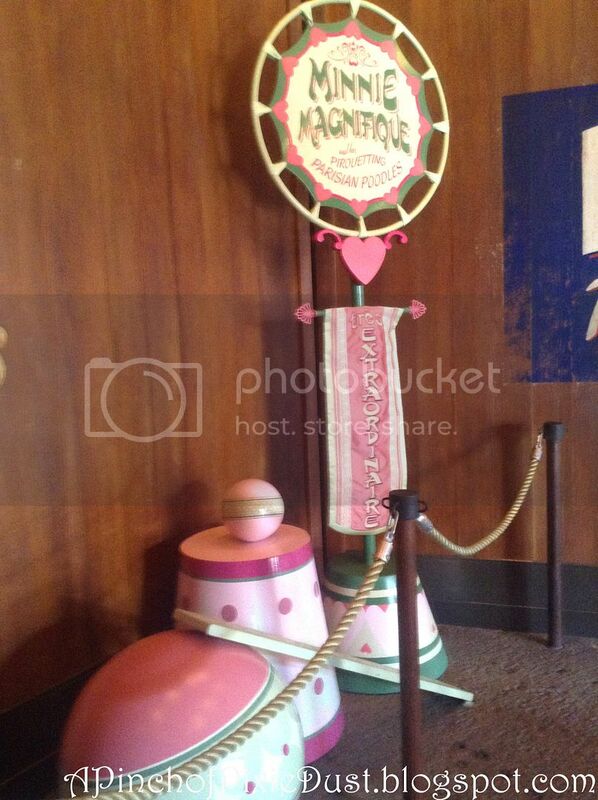 The meet and greets at the Magic Kingdom have been shifting during recent years. Mickey is all by himself up at Town Square now, but the rest of the fab five - Minnie Mouse, Daisy Duck, Donald Duck, and Goofy - can all be found in fabulous themed outfits back in Storybook Circus. They're all performing at Pete's Silly Sideshow, which you'll find behind Big Top Treats and that nice little seating area right up the steps. 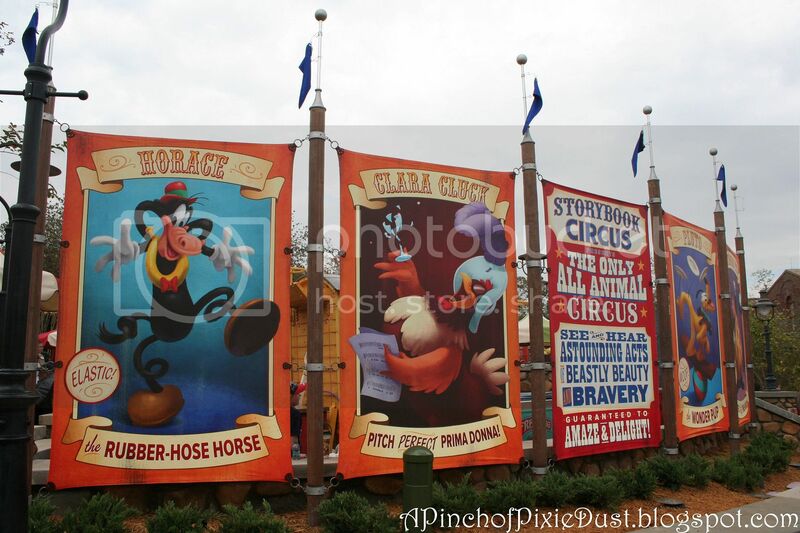 I love all the posters for the performers - like Lambert the Sheepish Lion and the Dancing Hippos, Horace, Clara Cluck, and Pluto - it makes me wish that they were available for meet and greets too! Oh well. BIG THRILLS RIGHT THIS WAY. 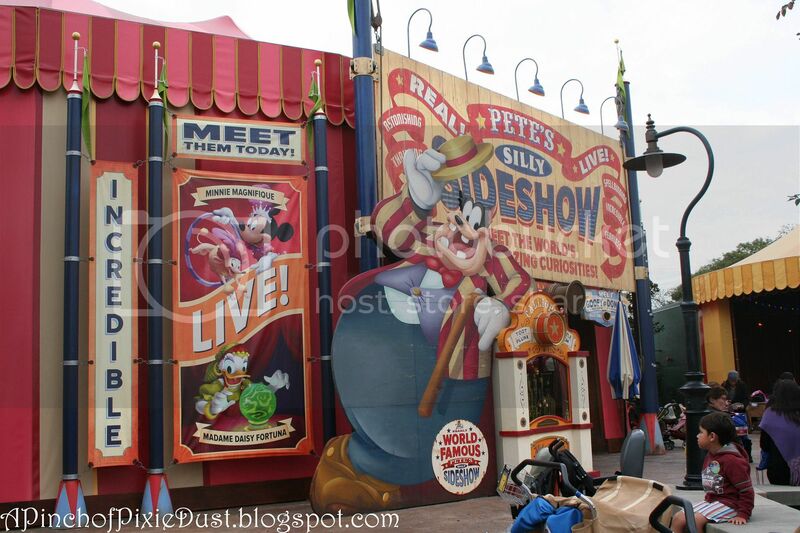 There are two lines at Pete's Silly Sideshow - one to the right for Peril! and Adventure! (Goofy and Donald that is) and one to the left for Beauty! and Charm! (that's Minnie and Daisy!). I don't know if I've just been lucky with these lines, but in my experience they're still fairly undiscovered. Whenever I've walked by they've been no more than 20-30 minutes, often less. Actually, it is kinda scary to enter. You have to be swallowed by Pete. Yikes! 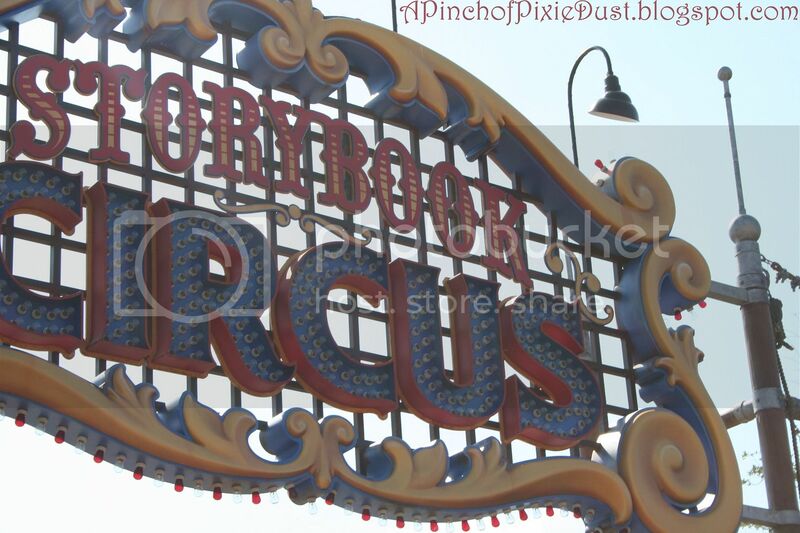 It's one big circus tent with Minnie and Daisy on one side and Goofy and Donald on the other. It is kinda festive and fun to be able to see all four characters and their props (though if you want to meet all four you have to get in line twice). 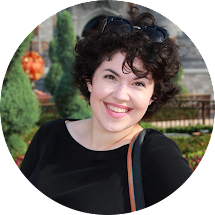 When my friend Laura and I had a Character Hunt around the Magic Kingdom this past December, Pete's Silly Sideshow was one of our stops. 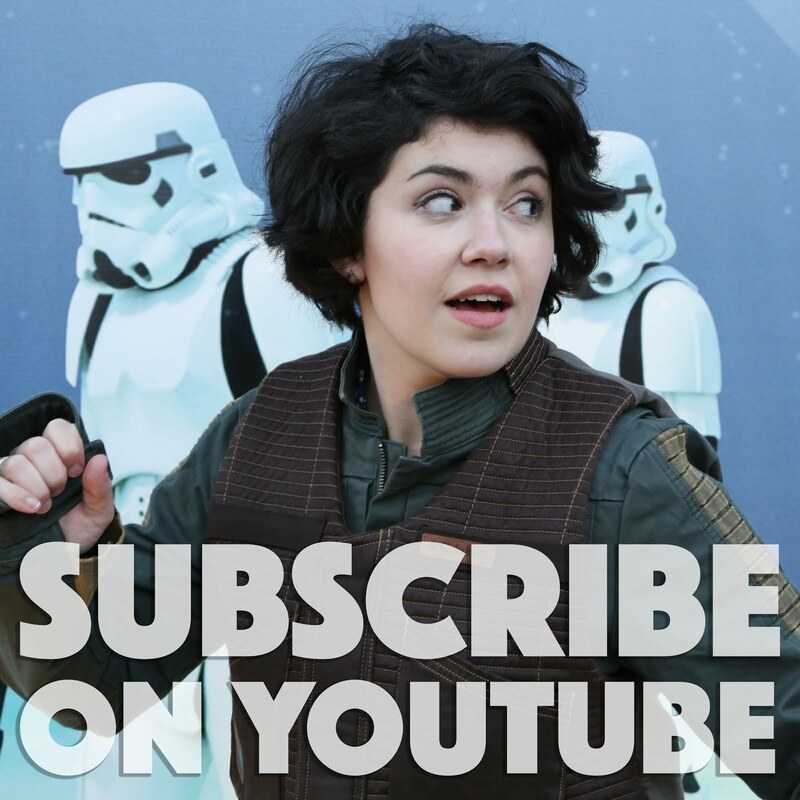 I did get some clips for a vlog, but I wish I'd gotten more - it was SO MUCH FUN. She's ALL KNOWING and ALL SEEING. And just look at that adorable gypsy dress! And her caravan behind her! She even has a crystal ball, so Laura asked if our fortunes looked good. 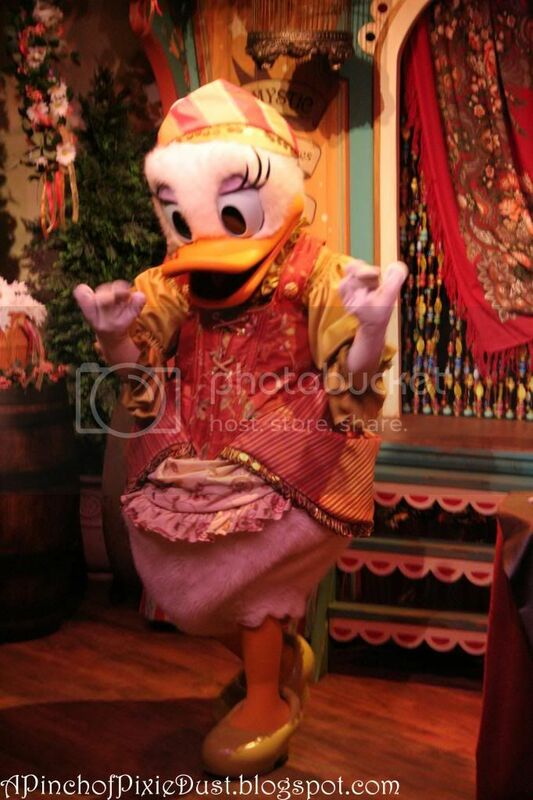 To our surprise, Daisy jumped right to work, waving her hands around the ball and then acting out the fortune, which we, the photopass photographer, the character handler, and the entire rest of the line were eagerly trying to guess. As you can see in the vlog, it turned out to be Wishes fireworks that she saw in our future! 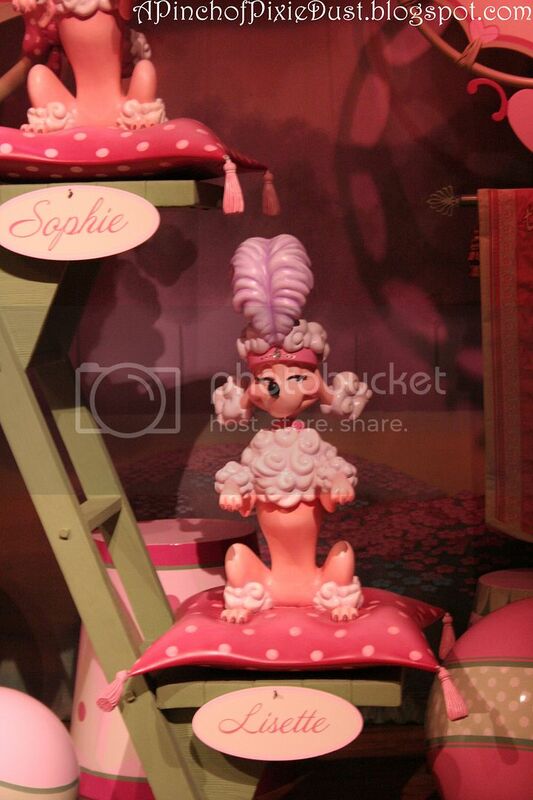 Minnie Magnifique's circus act is her Pirouetting Parisian Poodles. And all the pink poodles are standing at attention behind her - too cute! I loike how all the poodles have names - Brigette, Sophie, Lisette. 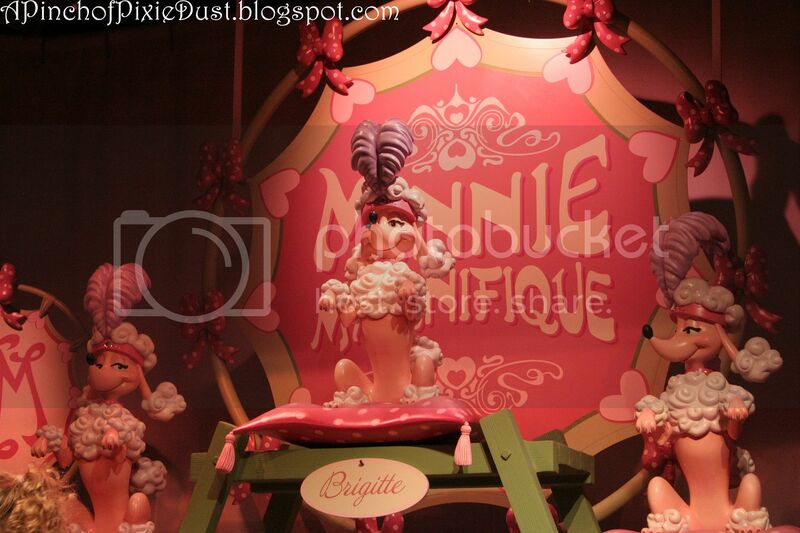 And of course they match Minnie's outfit PERFECTLY. 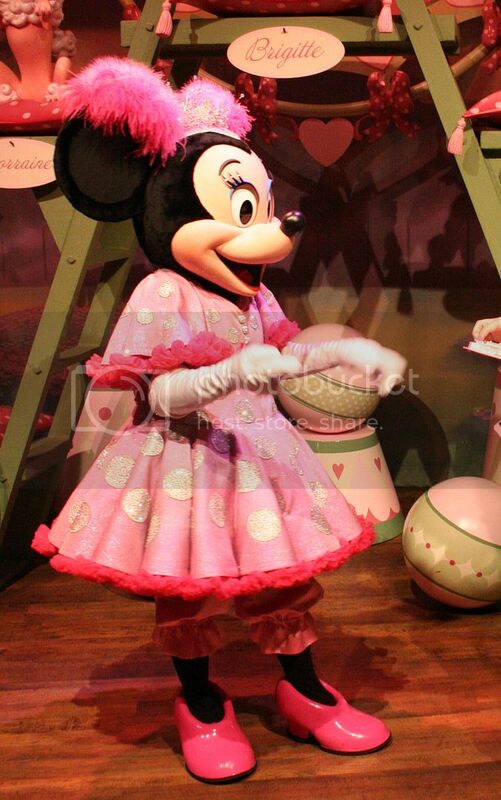 I am so in love with that pink poofy dress - I kinda want to recreate it and wear it to Mickey's Not So Scary Halloween Party. Wouldn't that be adorable? 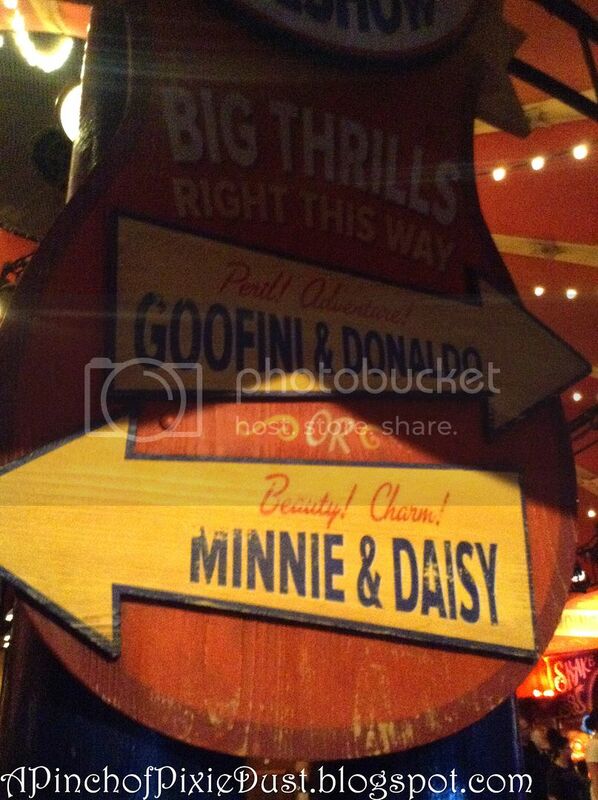 Minnie wasn't quite as stellar as Daisy. She admired our mouse ears, posed for a pic, and waved goodbye. 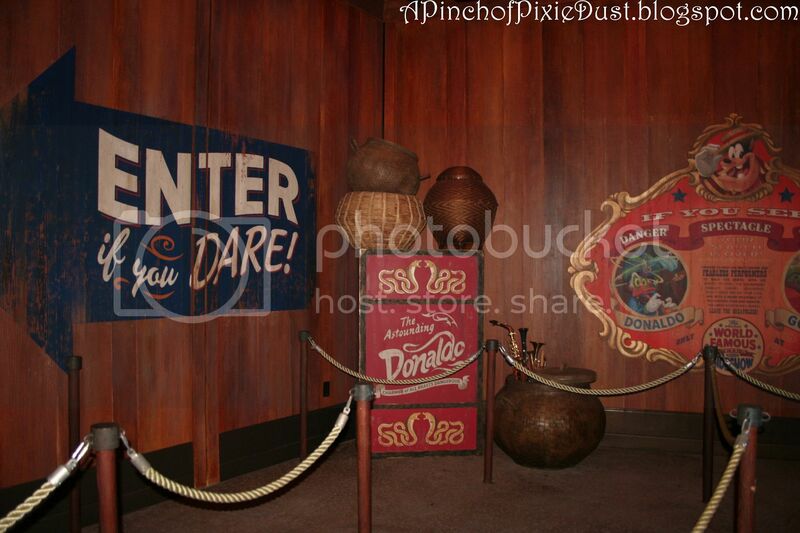 But the BEST character experience would be the Great Goofini and the Astounding Donaldo. We got in their line next, which was a little shorter than Minnie and Daisy's, but not by much. The Great Goofini came first. We noticed that his motorcycle had crashed into the wall, so we decided to ask how it happened. Look at how it even says "The Great Goofini" on the back of his jacket! Well, Goofy had a long story about how he had been riding along, doing his trick, but then Donaldo had HYPNOTIZED him, and he had crashed! The character handler at Pete's Silly Sideshow was really great - she was helping Goofy tell his story and helping us understand Goofy, who went on to tell us that Donald isn't wearing any pants. He was really concerned about it. It was pretty hilarious. So we met the Astounding Donaldo next, whose circus act, as you have probably guessed, is hypnotizing and snake charming. He has two giant snakes with swirly eyes next to him. 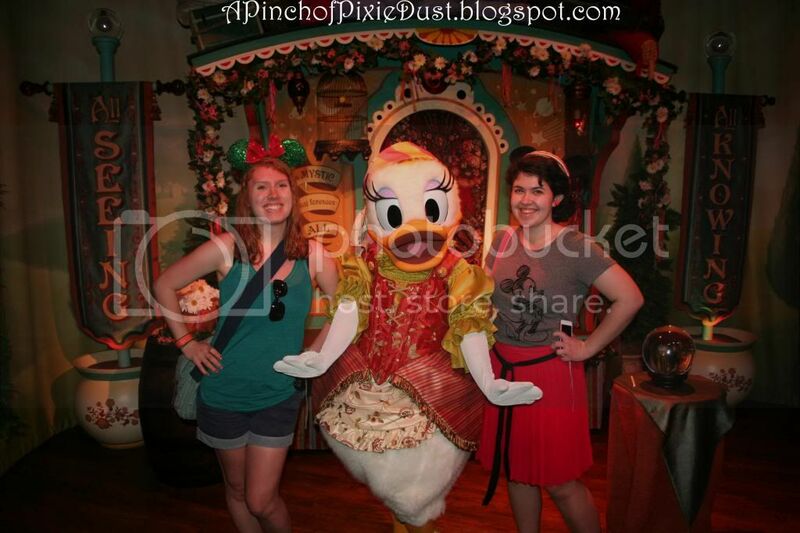 The photopass photographer warned us not to look into Donald's eyes as we might become hypnotized ourselves. I've been hypnotized! 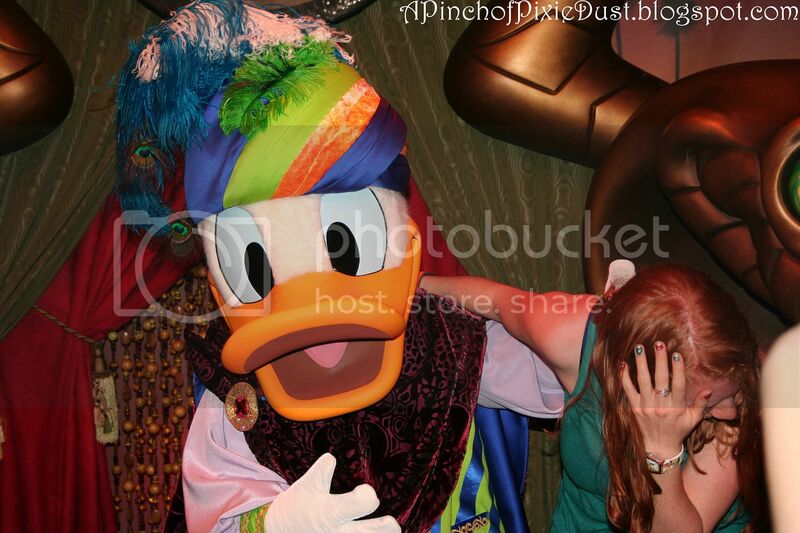 And Donald, in the meantime, is just like "Gosh darnit, I'm not trying to hypnotize you, just give me a hug!" It was so cute. 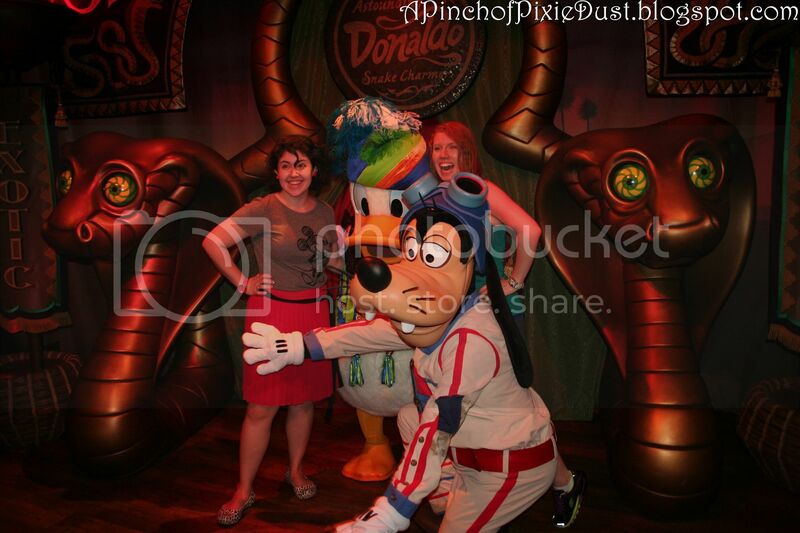 So we posed for our picture, but Goofy was obviously still really worried about the no-pants issue, because all of a sudden he LEAPED over and to cover up Donald. 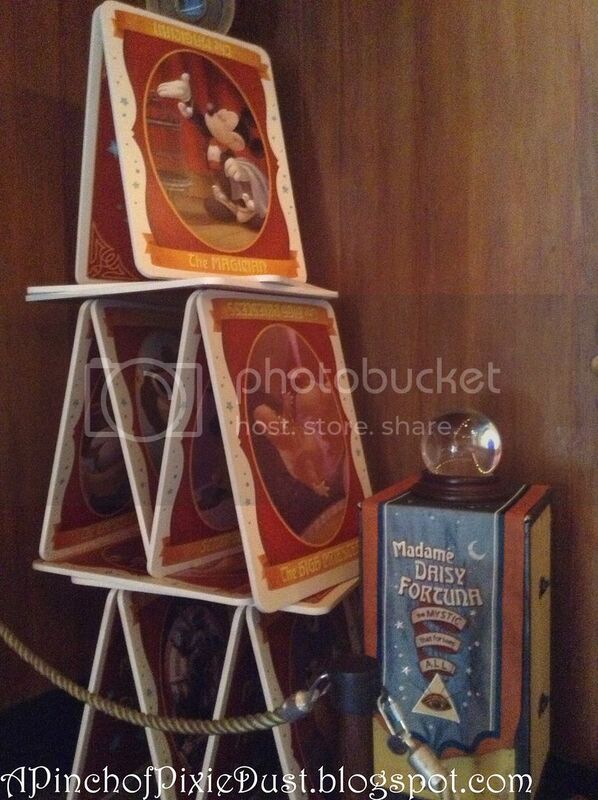 Have you stopped by Pete's Sideshow at Storybook Circus yet? If you haven't I would highly recommend it. 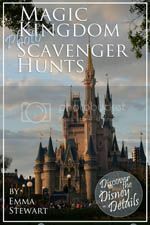 Of course you never know what luck you'll get with the characters - and in our case the good luck came from not only the characters but the handlers and the photopass people as well. 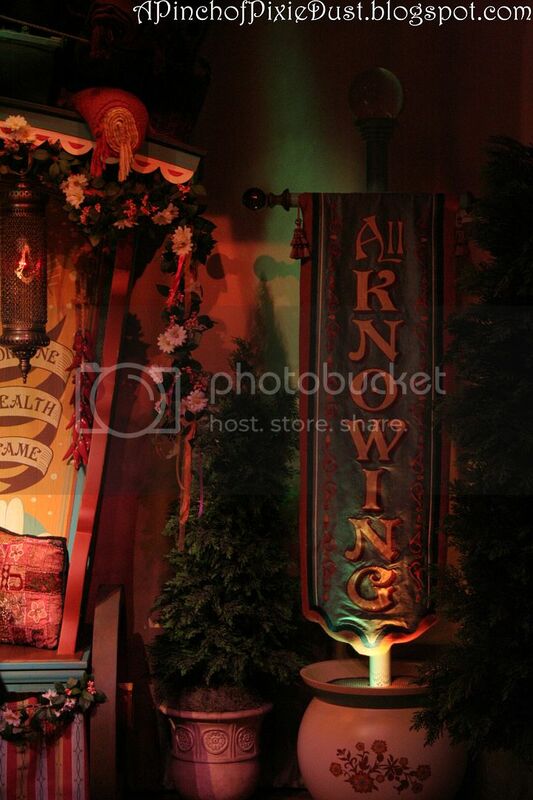 But the decor and the costumes are so interesting and definitely worth checking out. I LOVE DAISY!!!! I guess I will finally get to meet her now. Hooray! 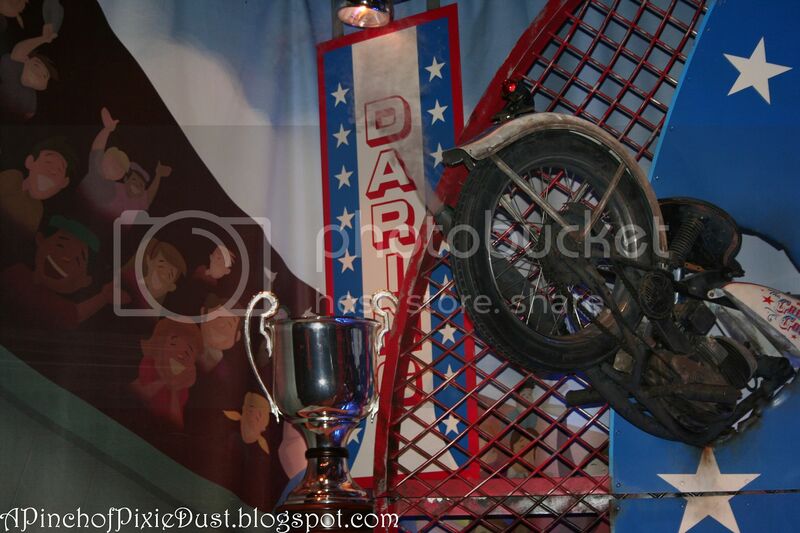 I love Pete's Silly Sideshow! 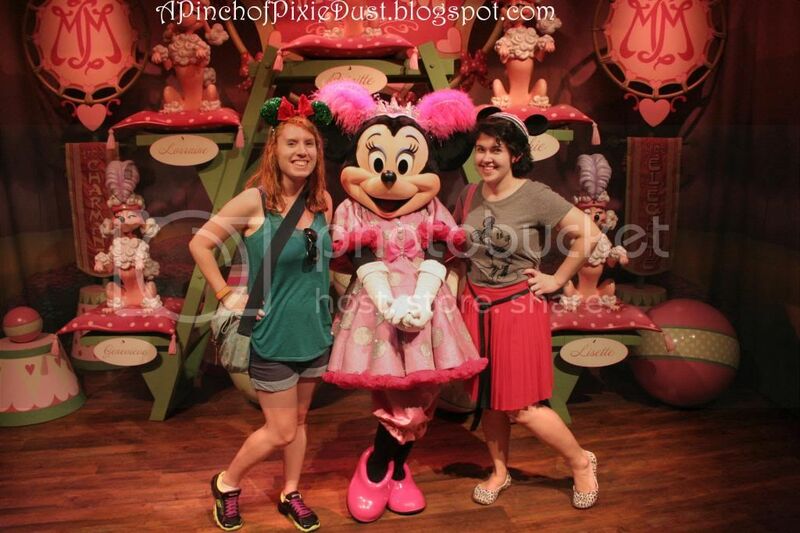 Minnie & Daisy were cute, but didn't really interact with me (yes, I went to character meet and greets traveling alone). 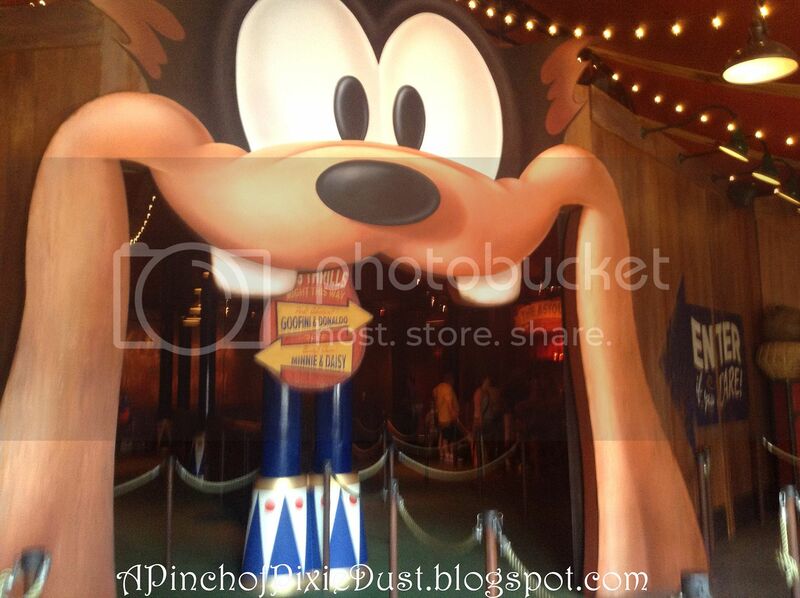 Goofy and Donald were amazing! 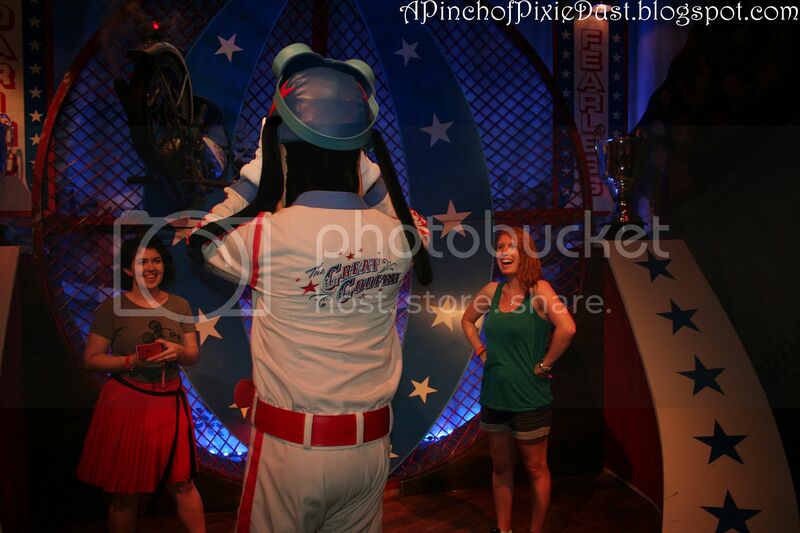 Goofy took my hands and started skipping in a circle with me. LOVE! 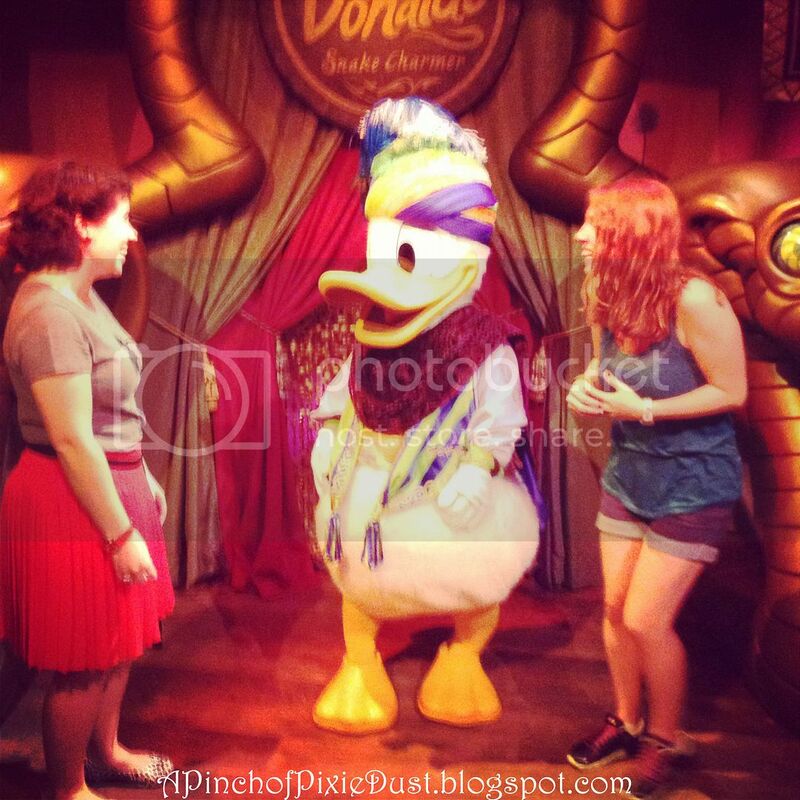 Donald was great too...link elbows with me, kisses on the check and he posed very mysteriously with his cape. So much fun! This is by far my favorite character experience in the park. When I was a kid I absolutely did not like meet and greets, and now I'm more open to them. But this one, I want to go to on EVERY single trip. James and I actually missed it this time around, but I went with Katherine and it was so much fun. The cast members here are some of the best. I always leave smiling.